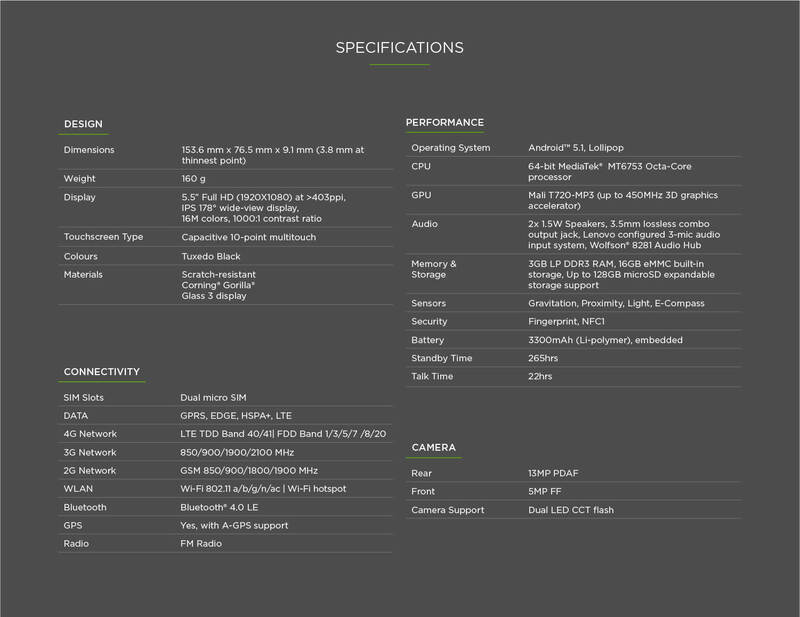 Looking for a Smartphone that is as intelligent as you? Want to leave an impression whenever you hold the device? If yes, own the all-stunning Lenovo K4 NOTE Smartphone having an unmatched design with subtle curves. A no-nonsense performer, the handset lets you get the best in media and entertainment in the most innovative way. Those who love to watch movies on the big screen, for them the Lenovo K4 NOTE works like a breeze. The USP of the handset is its ability to fetch you a wider cinematic experience, powered by VR technology from Lenovo. Courtesy of TheaterMax that delivers you a mesmerising viewing experience on a super-size virtual screen. All you need to do is to use the VR glass for that unbelievable movie experience, right at your home. The phone comes equipped with a surround sound system which delivers you immersive audio experience. With a vibrant 5.5 inch full HD IPS display with 403 ppi and 178 degree viewing angle and DOLBY ATMOS enabled large chambered stereo speakers, the Lenovo K4 NOTE turns into your perfect companion for a journey, influenced by mobile gaming, web browsing and video playback. The Smartphone houses a 64-bit Octa Core MT6753 processor that works in perfect harmony with 3GB DDR3 RAM. The result is smooth and seamless performance for all your apps, games, internet and entertainment activities. The handset comes equipped with a 13MP primary camera and a 5MP secondary camera. Capture the memorable moments of your life in full details both in stills and videos. Take selfies whenever you like, that too, in optimum clarity. Accommodate a large pool of movies, music, photos and other date on the handset’s 16GB internal eMMC storage. The phone also supports memory expansion of up to 128GB using microSD memory card. Isn’t it amazing to carry your world of entertainment on the Lenovo K4 NOTE in a completely reliable and easily accessible way? Full marks need to be given to Lenovo for using an innovative 3-mic system that works with the Wolfson audio codec delivering astounding audio experience. The technology helps in filtering out ambient noise and enhances sound input and recording. With lightning fast 4G LTE connectivity, you can access the web at superior speed. Experience faster data downloading and uploading from anywhere you like. Browse the internet on the move at a speed that you have never had before. 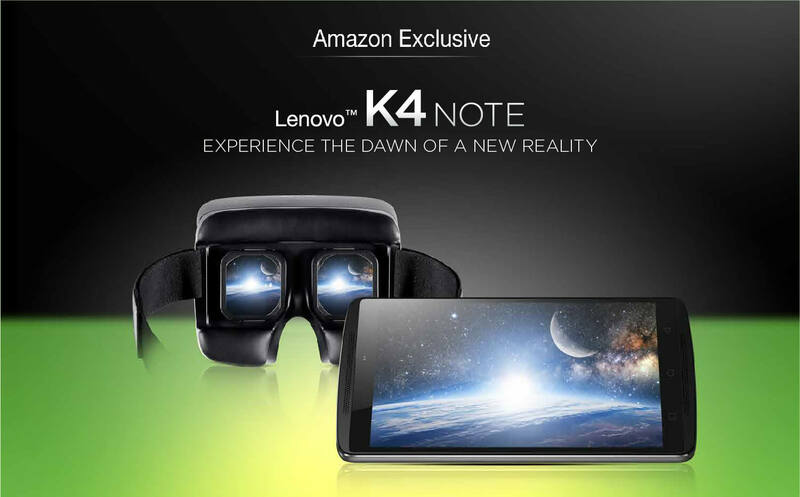 The Lenovo VIBE K4 NOTE runs on Android 5.1 Lollipop OS giving you a flawless user-experience. The 3300 mAh Li-polymer battery keeps the device in action for stretched hours. With the Mali T720-MP3 GPU, you can play games and videos with zero lag. If you are looking for a highly efficient Smartphone at a compelling price, then the Lenovo VIBE K4 NOTE is the perfect one for you. Try Amazon India and place an order for it today.